A box is just a box! An old box, just an old box. Found it at GW last summer. What to do,what to do with it? So, I painted it black and kept it that way for awile. After the cricut coming into my life and my great love of monograms, a lightbulb turned on it my head. So, I played around with sizing and cut out my monogram with some good ole' scrapbook paper. Mod podged it onto the box and voila-here it is-I love it!! stopping by from Trendy Treehouse!! I am super excited to have a new blog to read. Hi, I came by after reading your comment on my blog...Yes, I LOVE my craft cottage! If I ever move, it is going with me! Love the box, great job! Thank you for stopping by and following my blog. I can't wait to read all your wonderful projects. That looks good with the monogram added. I love monograms. They are well loved in the south. Hi Claire, Being a southern gal I love anything monogrammed! The box turned out wonderful. I am on my way to check out your archives. ps: I am now following. Cute, I love a monogram! My mom has a Cricut, wonder if she will make me some letters??? Anything with a monogram is a favorite of mine. I am delighted to find yours! Was browsing and saw your black box. What you did is lovely! that box really had a great surgeon! what a facelift! thanks for linking to creative juice! how did I miss this? I think I'm behind on my Google Reader LOL...LOVE it, esp the monogram! Simple to fabulous! 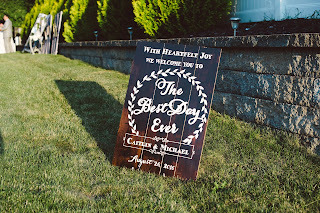 Thanks so much for linking up to Beyond the Picket Fence. I love the box. You did a great job!